Prince George isn't even 2 years old yet and he already has his own stalker. Sort of. Apparently, Prince William and Kate Middleton have taken legal action against a stalker who has been following Prince George and his nanny "as they go about their daily lives". To you and me, the idea of following a toddler around all day might sound about as interesting as watching paint dry, but Prince George had a Wikipedia page before he was even born. Along with North West and Blue Ivy, he's the most famous child in the world. Basically, he's a picture goldmine for the alleged photographer that BBC News says has been following the toddler prince. According to the statement issued by Buckingham Palace, "the individual was spotted at a central London Park in the vicinity of Prince George, who was removed from the Park immediately. There is reason to suspect that the individual may been placing Prince George under surveillance and monitoring his daily routines for a period of time." Can you say creepy? Prince George might be the most adorable baby on the face of the planet, with an unimpressed look rivaled only by Nori West, but he's still just a baby and Prince William and Middleton are totally justified in their desire to not want him to be stalked by anyone, even potential paparazzi, until he's a little older than 13 months. As much fun as it is to see new pictures of Prince George on the Internet, I can think of several things that are way more productive uses of one's time than stalking Prince George. Most pictures of Blue Ivy are taken directly by her mother, Beyoncé, and are thus adorable and far less creepy than the sneaky shots the photographer might be getting of Prince George. Plus, a lot of them come with the bonus of proving that Queen Bey and Jay Z are still going strong because LOL divorce rumors, what divorce rumors? Despite the rumors that he and Cressida Bonas are back together already, Prince Harry is still publicly on the market. Having finally turned 30 years old, it's probably about time that Prince Harry decides to settle down, perhaps with a Jamaican American girl from New York who writes statements like this about him on the Internet. Just, you know, as an example. Middleton has been too ill to attend to her royal duties, due to her hyperemesis gravidarum. 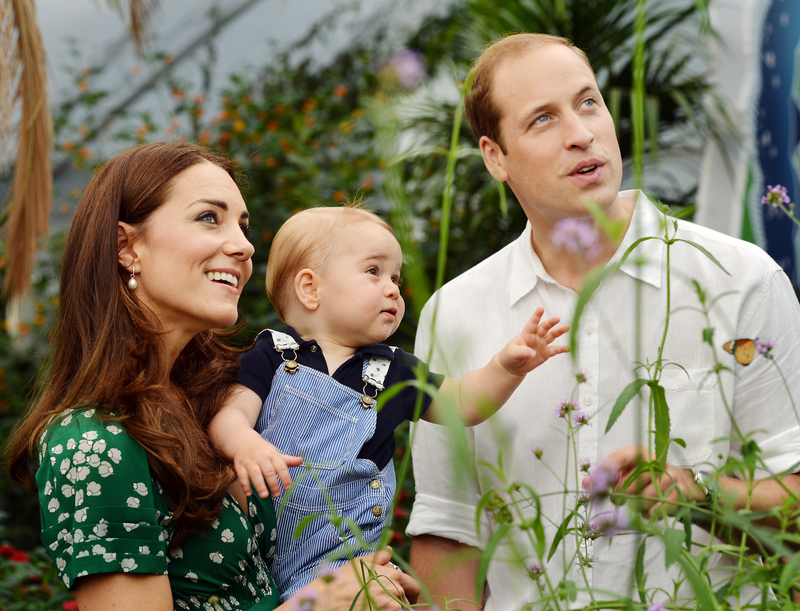 It's the same condition that affected her during her pregnancy with Prince George. Although she's managed to remain upbeat even while she's forced to cancel appearance after appearance, spending some time sending well wishes her way would be a way better use of one's time than snapping invasive pictures of her son. Listen, there is no situation, no matter how dire, that can't be improved by blasting "Bye Bye Bye" and singing along at the top of your lungs. Hell, considering how much free time this baby-stalker must have, then they should devote some of it to learning all of the dance moves from the music video as well. Prince George can go to the park in peace and his stalker will have a new set of super fly dance moves. Win/win. Seriously. Anything else. There are very few legal activities that aren't a much better idea than stalking a 13 month old baby. Why do I even need to say this? Who stalks a 13 month old baby? Stop it.